“Mr. DeSantis’s victory margin has since shrunk to 0.47 percentage points — three-hundredths of a point below the recount threshold,” the New York Times reported. April Ryan on Wednesday was the first one to report a possible recount. The Senate race in Florida will also get a recount. “I sincerely regret that I couldn’t bring it home for you,” Gillum said to his supporters in an emotional speech Tuesday night, referring to his campaign slogan. But now, the apparent elusive victory win might still be within reach. Hopefully, this was a good sign for Democrat Stacy Abrams, who was pushing for every vote to be counted in Georgia. Despicably, her opponent Brian Kemp’s campaign claimed he won even though no media outlets were calling the race for him, or at all. 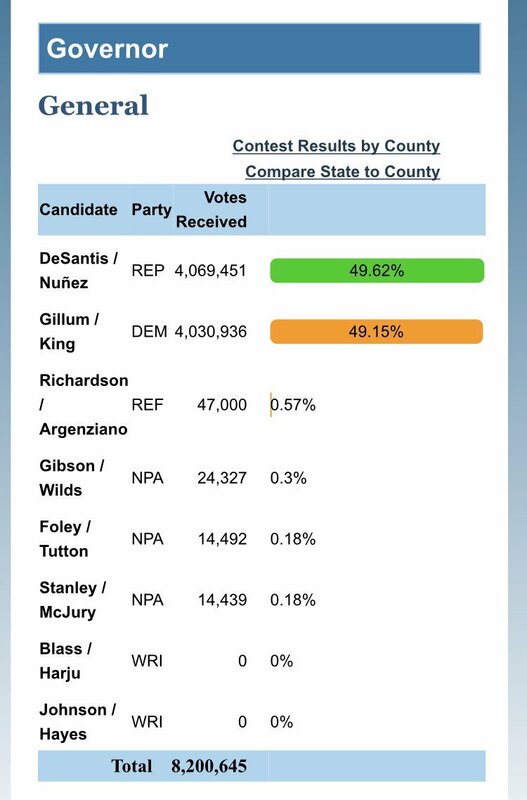 We are rooting for Gillum and Abrams. Bring it all the way home!